Last Friday, I shared that I am reading Creating Time by Marney K. Makridakis. So, this week, I read the first three chapters. This is a fun book with a good mix of fascinating facts and information (did you know that one second equals 9,192,631,770 oscillations of the undisturbed cesium atom?) and solid coaching on how to examine and change our relationship with time. In Chapter One, there are suggestions for time-keeping alternatives: instead of measuring 60 minutes, how about measuring how much joy you feel or how relaxed you feel? I have yet to complete my assignment from the first chapter, making a box decorated in a time motif that will hold my beliefs about time, but I am hoping to show it to you soon! One of the most common desires is to have time that is “managed”: time that is efficient and productive. In addition to efficient time, we also need other types of time, including . . Dream time . . . Concentrated time . . . Self-care time . . Private time . . Planning/preparation time . . .
Ms. Makridakis explores how we would be if we didn’t worry about time (See “Exploring Your Time Anxiety”!) and how we can learn to trust and befriend time. She reintroduces us to the concept of divine timing and its gifts. 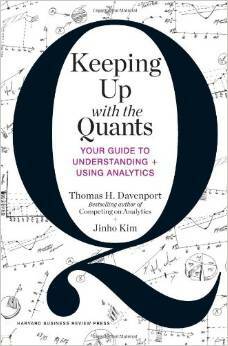 What I love about this book is that it is creative and imaginative and substantive. Every page I turn has real prompts for changing my relationship with time. While the material is a pleasure to read, it can benefit from deeper engagement. This weekend I intend to circle back through the first three chapters, rereading each and completing the art assignments to fully engage in the material. I’ll keep you posted! 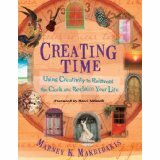 Yesterday, I started reading Creating Time: Using Creativity to Reinvent the Clock and Reclaim Your Life by Marney K. Makridakis. This book explores the concept of time and how to increase our perception of time through creativity. As someone who feels chronically short of the precious commodity, I look forward to finding new ways of perceiving time. Join me in reading this book and share your comments this week, or at the least, check in next Friday, where I will share nuggets of wisdom from Ms. Makridakis.